Welcome to the Official Event Web Page for the VaxXed Bus tour of Washington State! 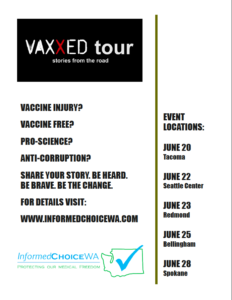 Informed Choice WA is honored to welcome the VaxXed crew to the Pacific Northwest. In a series of events in June, ICWA and VaxXed will provide a place for families to come together, to meet, to play, and to exchange information and ideas on how to promote a healthier world for our children. Family stories will be recorded by Autism Media Channel as we discuss how to end the environmental causes of autism and other rising chronic disorders while also celebrating the lives of our beautiful children. The VaxXed Bus has been traveling the country recording stories of vaccine injury as well as gathering details about the health of non-vaccinated and partially-vaccinated families. The journey began in response to stories told by audience members at screenings of the groundbreaking documentary film VaxXed: From Cover-up to Catastrophe. The bus has become a rolling memorial to more than 6,000 individuals named on it. Bring your family to meet producer and autism-mom Polly Tommey, and Dr. Suzanne Humphries, author of Dissolving Illusions, tell your story, learn and play with other families as we work to educate and promote a healthier world for our children. It’s time for medical and environmental policies to incorporate the current science of environmental exposures — to herbicides, pesticides, PCBs, flame retardants, pharmaceutical products, vaccines, and more — and to stop undermining the health of our families. Contact Sue at susancioe @ hotmail. com if you would like to be scheduled to tell your story to the Autism Media Channel team in Tacoma. Contact Jena at jdpez @ hotmail. com if you would like to be scheduled to tell your story to the Autism Media Channel team in Seattle or Redmond. 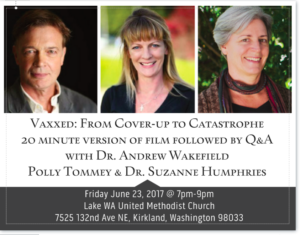 ICWA is honored to host the showing of a 20-minute version of the critically acclaimed documentary film VaxXed: From Cover-up to Catastrophe, followed by a Q&A with the film’s Director Dr. Andrew Wakefield and Producer Polly Tommey, along with the renowned Dr. Suzanne Humphries, author of Dissolving Illusions and Rising. Event 1: 10am-5pm @ the parking lot of Civic Stadium, 1355 Civic Field Way, Bellingham. 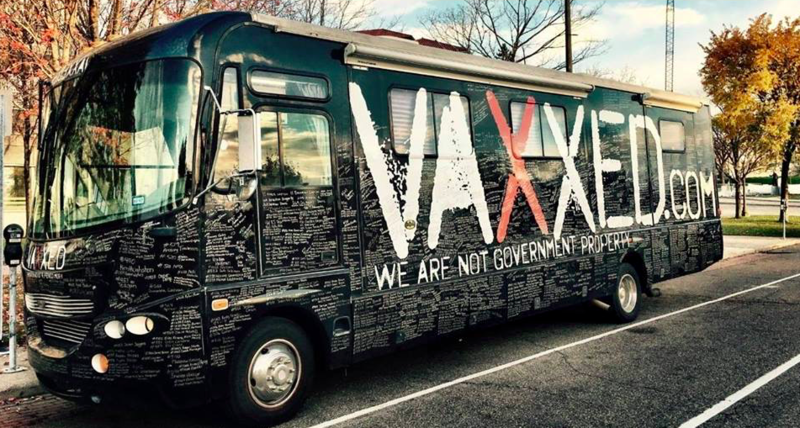 Families will gather to learn, play, and tell their stories at the Vaxxed Bus. 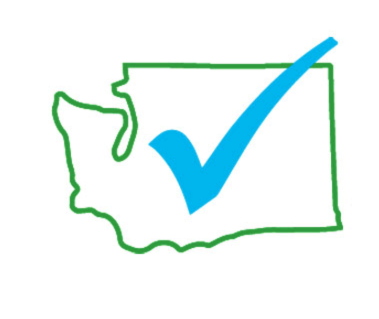 Event 2: 6:30pm – 9pm @ Bloedel Park, 2114 Electric Ave, Bellingham. A showing of a 20 version of VaxXed: From Cover-Up to Catastrophe followed by a Q&A with producer Polly Tommey and Dr. Humphries. Contact Claire at Claire.e.lambert @ gmail. com if you would like to be scheduled to tell your story to the Autism Media Channel Team in Bellingham. The VaxXed bus will be in the Mirabeau Park Hotel parking lot from 10am-5pm, recording your personal stories of vaccine injury and vaccine-free/partially vaccinated health. There will be a dinner break from 5pm-6:30pm. At 7pm at the hotel, a 20 minute-clip version of VaxXed will be shown followed by a Q&A with Polly Tommey and Dr. Humphries until 9:00pm. Donations at the door gratefully accepted to help support the Vaxxed tour. Contact Jaclyn at Icwaspokane @ gmail. com to schedule telling your story to the Autism Media Channel Team in Spokane. The Mirabeau Park Hotel is offering discounted rate of $99 for out of town guests that includes a full breakfast buffet. The full service hotel restaurant, MAX, serves breakfast, lunch, and dinner. Special thanks to the Mirabeaux Park Hotel for providing the Spokane venue. The Spokane VaxXed event is cohosted by IPAK. Click HERE to go to InformedChoiceWA Facebook Main Event page. Please help spread the word by printing and distributing event flyers. Thank you!